Spent a week in London, earlier this month. Good time, mostly, though I think even Dr. Johnson might find the modern city can be legitimately tiring even if one has not lost all interest in life. Unfortunately, the only detective-related sightseeing I fit in was this (which I found delightful); didn’t make it to Paddington Green or the Met Police Heritage Museum. Perhaps next time. But I do have a photo of Scotland Yard, acquired through a photo exchange with a friend who also visited London this spring. NOT the modern Scotland Yard, note. Since publishing my book, I have made the wonderful discovery that a project that started with what I could find has also become about what finds me. Already, a couple of correspondents have found their way to this site and shared related material. One example is The Dagenham Murder. One of the authors contacted me, prompted by my inclusion of Jonathan Whicher in Brilliant Deduction, to tell me about this book; it recounts the story of an 1840s murder investigation, still unsolved. Then-Sergeant Whicher was part of the small, early Scotland Yard force that tried to resolve the mystery. I do wish I had known about this six months or a year ago, but obviously one is going to miss some things. And then, it seems, learn of a few of them after one publishes. One good reason for having a companion site with a blog, then; at least I have a good way of making further discoveries like this available. 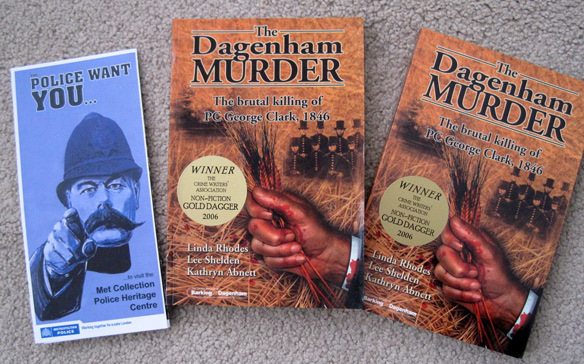 I hope to get started reading The Dagenham Murder, soon, and once I’ve finished I will post some additional notes here. In the meantime, for those interested, it seems to be available through Amazon UK; the author is also selling some remaining copies and, if all else fails, you can contact me and I will get you in touch. The era of renowned detectives chronicled in Brilliant Deduction lasted close to 150 years. But the individual careers highlighted were spread out through that time, and each overlapped with at least a few others. In many cases, they nonetheless plied their trade in parallel with one another. Geographic distance played a large role in this, of course; crossing North America or the Atlantic Ocean was a loooong trip for much of that time. Direct connections between my main characters are therefore few in number. Remarkably, however, nearly every one of them had some direct contact with at least one of his peers. Vidocq is one of the two outliers in my history; he was so far ahead of everyone else in the pursuit of professionalized detection that his career was winding up as others were just getting started. But he made up for it by living quite a long time. 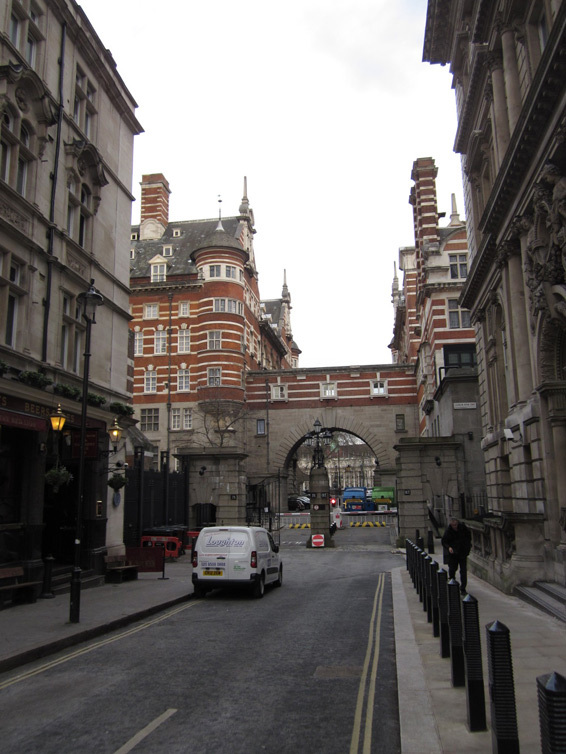 As a result he was able to see other nations set up detective bureaus inspired by his Sûreté, such as Scotland Yard in neighboring Britain, and even to enjoy some of the acclaim owed him for it when Scotland Yard officers visited Paris and then hosted him in London, later. I’m almost certain that this second event must have involved some sort of meeting between Vidocq and Jonathan Whicher. I don’t have any information stating specifically that they met, but beyond that, it seems almost impossible that they wouldn’t have. Whicher was one of Scotland Yard’s original eight detectives in 1842, and the force hadn’t grown much when Vidocq paid them a visit just a few years later. The image is appealing, as a kind of passing-the-baton moment between the first of this new breed of investigator and one of his first prominent successors (Whicher’s life and detective career are the next-earliest after Vidocq’s, out of my final nine). But it is, as noted, speculation. The same goes for any contact between Whicher and “Paddington” Pollaky, though here, too, the circumstantial evidence is considerable and likely even greater than that for the earlier perhaps-meeting. Whicher and Pollaky worked alongside one another as detectives in London for 30 years, from Pollaky’s arrival in Britain to Whicher’s retirement—nearly the whole length of Pollaky’s own career. Before setting up his own Private Inquiry Office, Pollaky regularly worked as an interpreter for the police and courts, and also spent a few years working for the private detective firm of Charles Field; Field was a former Scotland Yard detective, himself, and a good friend of Whicher. Pollaky even had a minor role in the aftermath of Whicher’s most infamous case, the Road child murder, most likely at Field’s behest. While the two detectives’ parts in that affair probably did not overlap, it seems inconceivable that they didn’t meet at least once in some other circumstance given their overlapping circles of acquaintances and the length of time involved. That’s mostly it for direct contact involving any of my European cast members… there were opportunities for some of the American detectives to meet their Old World peers, but much less evidence they did so. I’ll return to that in another post.